Several days ago, President Trump was blamed by The Washington Post for category 4 Florence, so apparently, he downgraded Florence to a category 0 at landfall. Not only that, but using Washington Post logic, the President has also cooled the planet at a rate of almost ten degrees per century since he was elected. 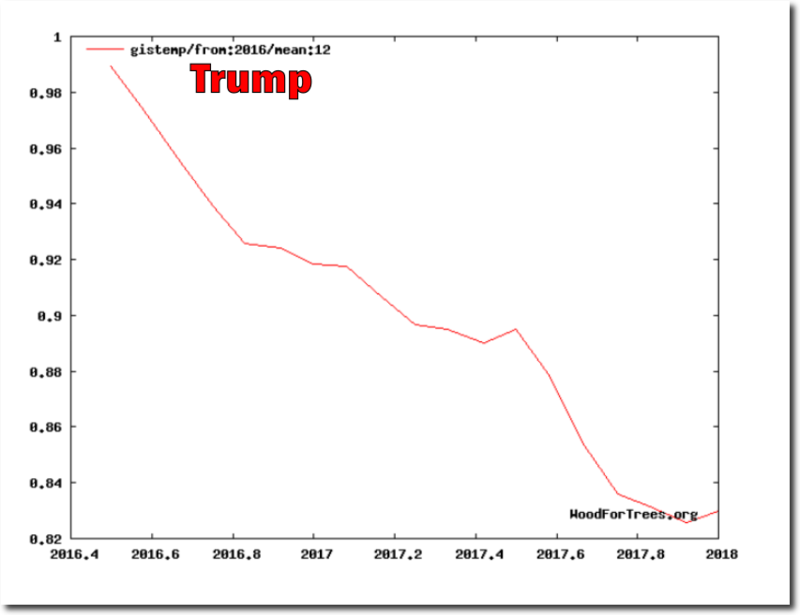 A few more Trump terms and Earth will be in an ice age. Obama bragged about healing the planet, but his record wasn’t so good. 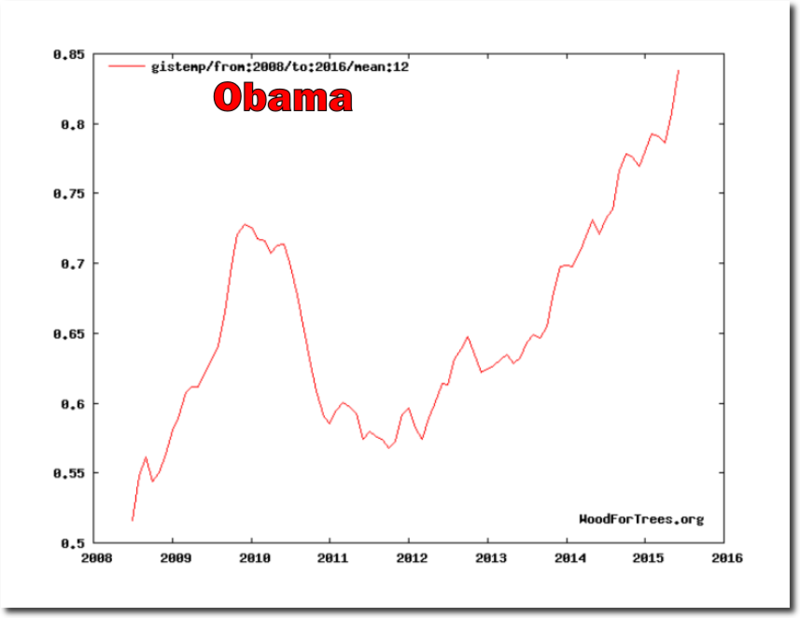 Earth warmed at a rate of more than three degrees per century during his presidency.